Raking Leaves: An Exercise in Gratefulness? 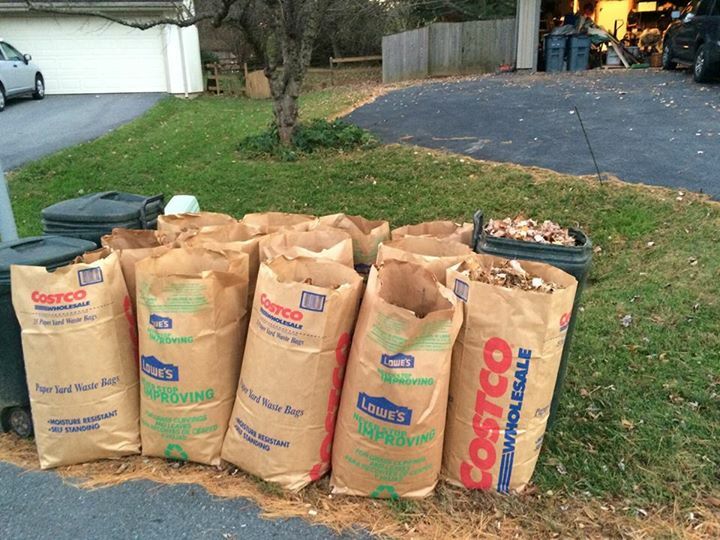 That, my friends, is the culmination of about 2 weeks worth of raking, mulching, composting and bagging some of the leaves in our back yard. 16 containers/bags of leaves! Both compost bins are stuffed to the max (twice). With the weather forecast heading to below-I-don’t-wanna-know later this week, I decided to try and make a little headway. I don’t mind yard work, as a rule. It’s a great excuse to be outside. We have multiple bird feeders, dens of rabbits and the occasional fox, hawk and possum. In the middle of suburbia, there’s a lot to see. This year I realized how lucky I am. I am physically able to rake my leaves. So many of my patients are exhausted, unable to handle the smallest of chores around their homes. Laundry, groceries, cooking and cleaning are beyond them. They are dependent on friends or pay out large chunks of cash. So as I raked and stuffed each bag, I thought about them. Named them. Prayed for those who help them. Each time I hauled another bag to the curb this afternoon, I wondered who would be handling their leaves and (too soon) shoveling their walkways. I walked my labyrinth afterwards, letting my body cool down from the exertion. So much to be grateful for… and I am.